We’re not sure there’s anything more exciting than ordering a brand new car, built exclusively for you, with your family in mind. 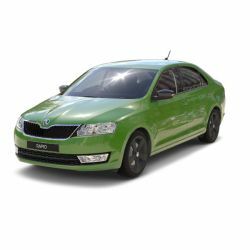 From designing your dream ŠKODA on the configurator to test driving the latest model at our dealerships, we know you will love the range of vehicles on offer. With safety at the forefront of the brand, and a host of ‘Simply Clever’ features to choose from, the expert team at your local Vindis ŠKODA retailer will help you perfect your new car, listening to and understanding your needs at every step.